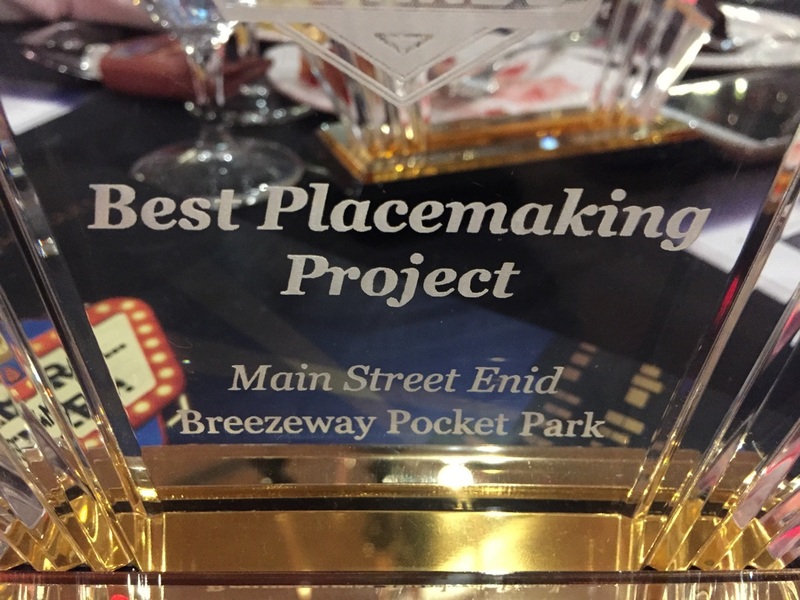 The Breezeway Pocket Park was a Placemaking Partnership between Main Street Enid and the Northwest Oklahoma Association of REALTORS®, with additional support from the City of Enid, Conrady Electric, Humphrey Abstract and Michael Dotson. Keep scrolling for the history, partnerships, projects and artwork. 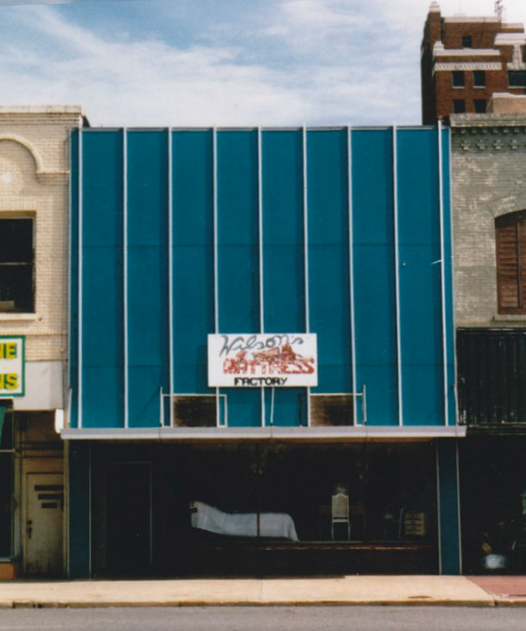 After a fire, the City of Enid purchased the building in 1995 and collaborated with Main Street Enid and local architecture firm, Corbin Associates, to create a pedestrian walkway. The award-winning design incorporates part of the original brick facade with a lighted pedestrian thoroughfare. 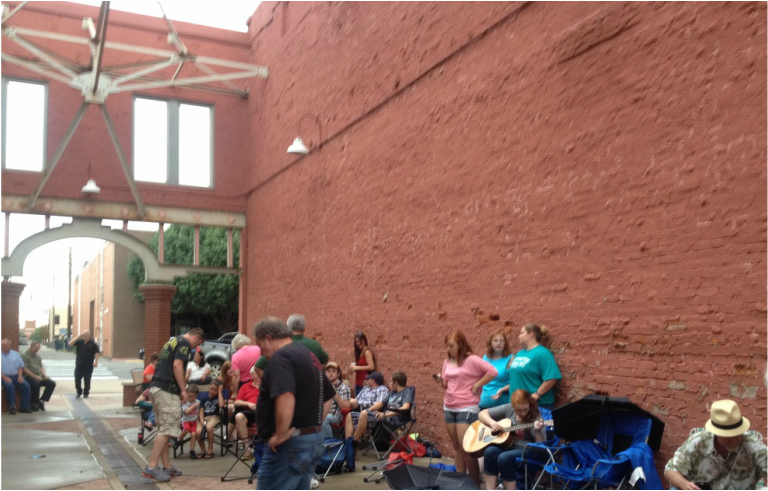 Occasionally this Mid-Block Walkway was used for live music community events. Since the bricks were meant to be interior, they were flaking due to being exposed to the weather for years. In 2013 the City of Enid brought in Corbin & Merz Architects to renovate the space, adding an 8' brick wall with decorative accents, fresh paint and corrugated metal. This Mid-Block Walkway is now known as the Breezeway. 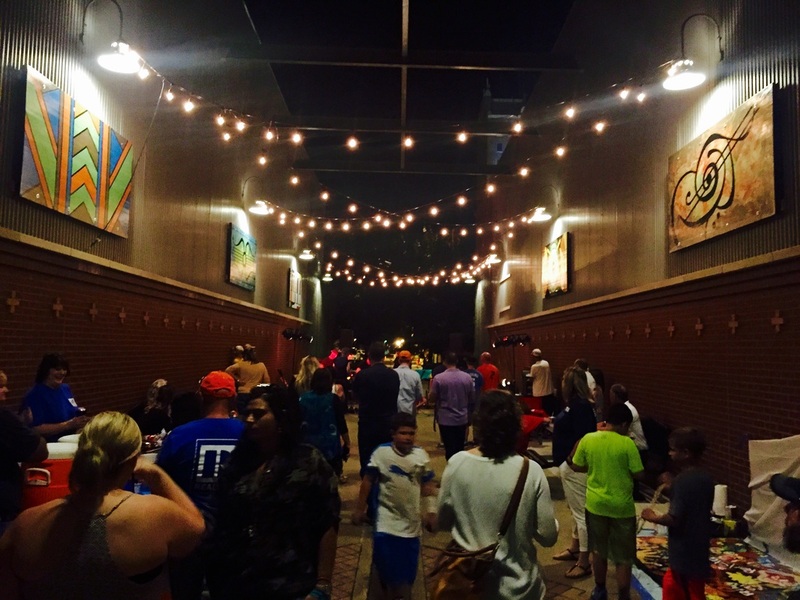 In 2015, Main Street Enid partnered with the Northwest Oklahoma Association of REALTORS® to turn this underused space into a place to gather for lunch, rest, reading, games, art and music. We first determined economical ways to create a vibrant space. We ordered picnic sets, fence panels and benches, painted mini murals on foam panels, added party lights and had two Little Free Libraries built. 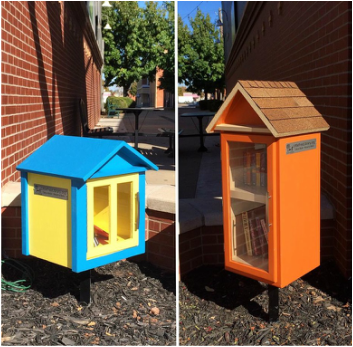 Michael Dotson built these Little Free Libraries - one for kids and one for grown-ups. 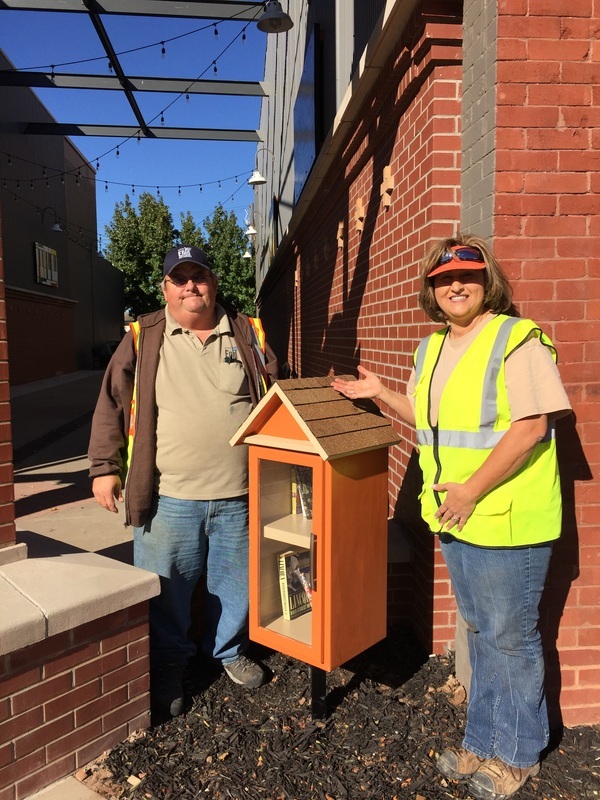 They are registered on the world map of Little Free Libraries! The City of Enid installed them and Main Street Enid monitors and switches out books twice each week. 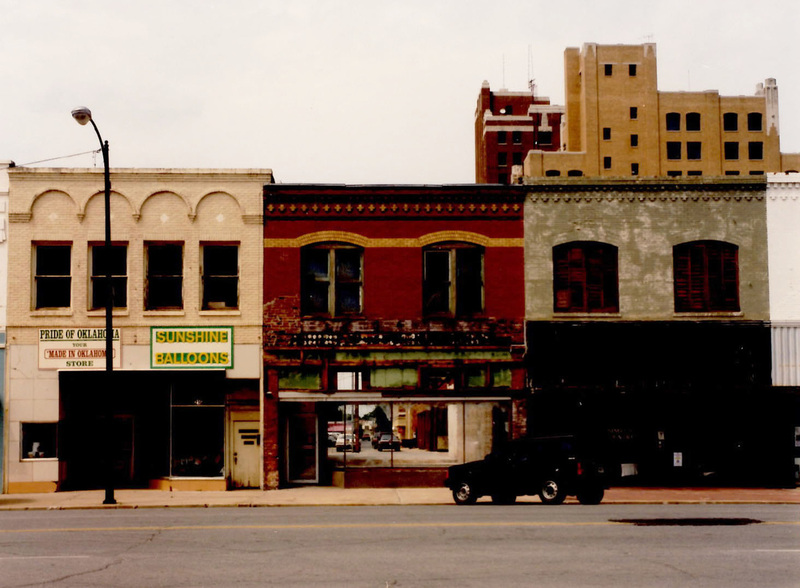 These mini murals, 8' x 4', were inspired by music and downtown Enid architecture. 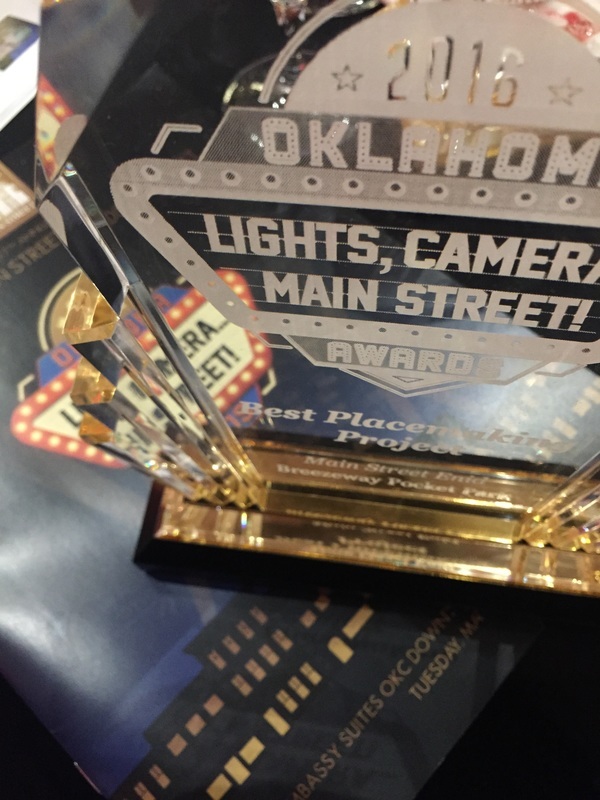 The Breezeway Pocket park won a statewide Oklahoma Main Street award for Best Placemaking Project! 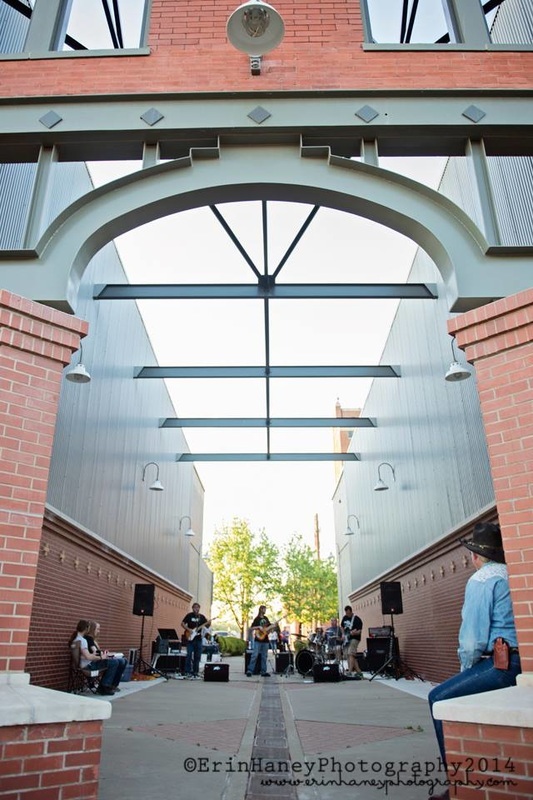 The Pocket Park transformed the space from a walkway into a place where people can gather, meet for lunch, enjoy art, read a book, play games, enjoy concerts and rest while they shop downtown Enid. 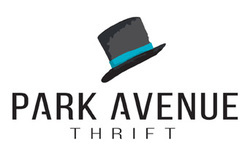 The space is in the heart of our city, surrounded by boutiques, services and restaurants.